Human colonization of the moon has long been a dream for space enthusiasts. However, the dream may now be closer than ever to being realized, thanks to scientists having discovered an ideal location for what could become a future moon base. Scientists have confirmed the existence of a giant open lava tube. This lava tube exists in the Marius Hills region of the moon, which could potentially be used to protect humans on the moon from the harsh atmospheric conditions on a long-term basis. Since the moon, unlike the Earth, has extreme temperature variations, meteorite impacts and even radiation, the only safe place for humans would be inside an intact lava tube, according to a new study published in Geophysical Research Letters. Scientists from Japan's space agency JAXA and Perdue University in the US used radar data from the SELENE spacecraft to track suspected depressions on the moon's surface. They found a large open lava tube. Although the presence of lava tubes on the moon has been speculated in the past, the radar data used in the new study provides the clearest picture yet of how big they are and what they look like. "It's important to know where and how big lunar lava tubes are if we're ever going to construct a lunar base," Junichi Haruyama, a senior researcher at Jaxa, said in a statement. "But knowing these things is also important for basic science. We might get new types of rock samples, heat flow data and lunar quake observation data." Lunar Lava tubes are similar to the ones found on Earth, but they are much bigger in size. They are naturally occurring channels that are formed when molten lava quickly cools on the outside while remaining hot and liquid-like within. Once the internal stream of steaming lava stops flowing, it sometimes drains, forming a hollow tunnel. Apart from the Marius Hills region, scientists have also recently found some similar patterns. These patterns indicate the current presence of lava tubes in several other areas of the moon. The Japan Aerospace Exploration Agency (JAXA) scientists also enlisted the assistance of some scientists from NASA’s GRAIL mission, which involved obtaining very high-quality data of the moon's gravitational field. The team surveyed the areas on the moon where NASA’s GRAIL had spotted mass deficits. "They knew about the skylight in the Marius Hills, but they didn't have any idea how far that underground cavity might have gone," said Jay Melosh, a GRAIL co-investigator and Distinguished Professor of Earth, Atmospheric and Planetary Sciences at Purdue University. "Our group at Purdue used the gravity data over that area to infer that the opening was part of a larger system. By using this complimentary technique of radar, they were able to figure out how deep and high the cavities are." The longest duration that an astronaut has spent on the moon till date is three days. This is primarily because current space suits cannot withstand the harsh conditions on the lunar surface for longer periods. 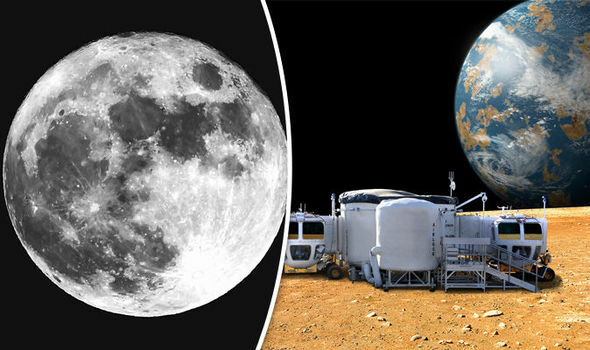 However, the discovery of lunar caves could pave the way for long-term human habitats on the moon, indicating that an actual moon village could become a reality in the not-too-distant future.